Click here to download a printable PDF of this publication. What keeps me fighting is my belief that the legal system should/can be changed and society can be educated and made aware of the injustices inflicted. We as a whole are open to knowledge and have the wherewithal to change, learn, actively take action, grow, and improve the system and our lives. Across the last five decades, the state of Pennsylvania has condemned an unprecedented number of people to die behind bars. Over 5000 people are currently serving life without parole (LWOP) sentences, which many now call “death by incarceration” or DBI. These draconian sentencing schemes target poor people and people of color, tear apart families and communities, cost millions of dollars, and do not make us safer. Boyd’s experience is unfortunately not unique. Pennsylvania has the second highest number of people serving DBI sentences of any state in the nation, and is one of only six states that denies parole to individuals with life sentences. There is no such thing as life with parole in Pennsylvania. Fortunately, the public is beginning to wake up to the dangerous and devastating impacts of DBI and mass incarceration generally. A statewide campaign is pressuring lawmakers to act, and in 2016, a bill was introduced in the PA legislature that would effectively abolish death by incarceration in the state. However, these efforts face an uphill battle in a political climate where more emphasis is put on supporting failed “tough on crime” policies than on respecting human rights. For all these reasons and more, there is no better or more critical time to be pushing for an end to ineffective, immoral, racist, and harsh sentencing schemes like death by incarceration, and the exclusionary logic which underlies them. Even under President Obama, who took minor steps to address mass incarceration, the number of people sentenced to die behind bars only grew. And now we are faced with a new president who has made law-and-order policies and white nationalist ideology the backbone of his campaign. Lifelines: Voices Against the Other Death Penalty formed in 2014 with the goal of changing this reality. LifeLines is a media project conducted across the prison walls to highlight the voices and analysis of those serving DBI sentences. We strongly believe that any movement against mass incarceration will not be successful without active participation, collaboration, and leadership coming from people behind the walls. Successfully defeating DBI will require as much a profound cultural shift in the public’s orientation toward incarceration and punishment as it will legislative changes. This means challenging the sensationalized stereotypes of who is behind bars and why with the actual stories, faces, analysis, and visions of incarcerated people. That’s why for this newest publication, we asked LifeLines members to interview someone serving a death by incarceration sentence whose voice has something important to add to this project. We’re excited to highlight some of those voices here, and to challenge the idea that people on the outside are always the ones conducting interviews, and people on the inside are always the ones answering questions. For all these reasons, we invited each inside collaborator to choose someone they admired and to provide an introduction speaking to what led them to select this specific person. The result is the booklet you now hold in your hands. Prisons in Pennsylvania and across the nation create a huge number of barriers to building movements across the walls. We hope this pamphlet (and all of our work) can be a small part of an ongoing dialogue — inside and outside of prison — about how we can build this movement together, and why it is so critical that we do. 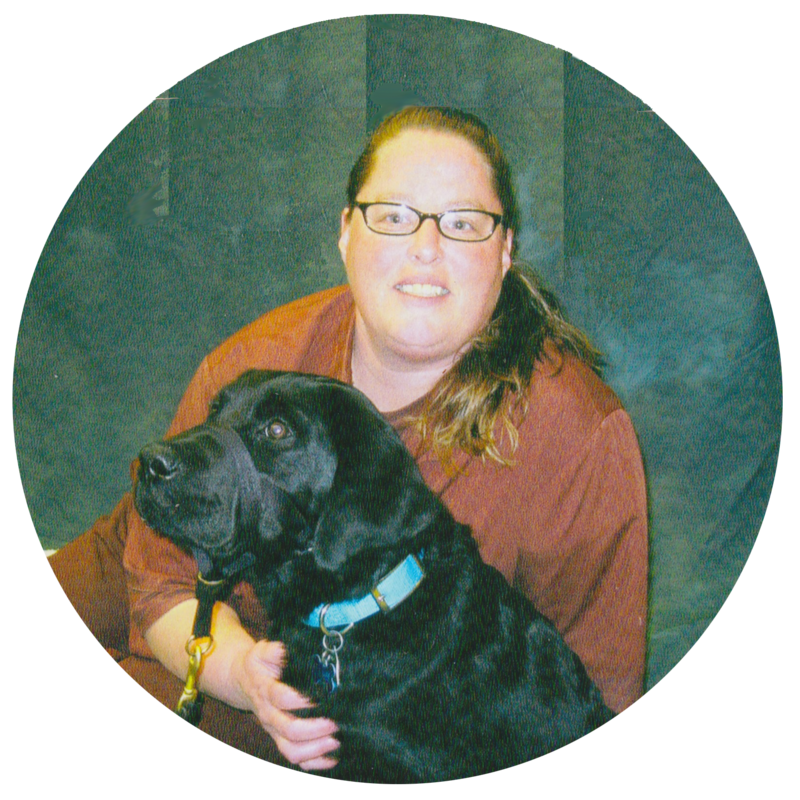 Terri Harper is a writer, a member of the LifeLines project and the Muncy Inmates Organization, and an active contributor to the Coalition to Abolish Death By Incarceration. 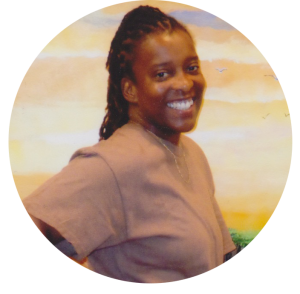 Originally from Philadelphia, she’s been serving a death by incarceration sentence for the last 26 years. She chose to interview Jessica Rizor. I chose Jessica, because she’s considered a “younger” lifer than I am, with my 26 years in. She’s very intelligent, but also quite reserved. I know of her through one of the people closest to me, and from that association, Jessica and I are building a friendship. I know her to be caring, funny, kind-hearted and mellow, despite the chaos around her, especially in the open housing unit she lives in. I believe those of us with over 20 years inside need to engage our peers no matter what, but especially those that tend to isolate, or “keep their circle tight.” I also believe a lot of the “younger” lifers feel left out of the loop when those of us that are active with organizations don’t take the time to fill them in/include them on projects. This can be Jessica’s opportunity to become active in the cause outside her usual box. Terri: Please tell me something about yourself, including one thing that someone would be surprised to know about you. Jessica: My name is Jessica Rizor. I’m 39 years old. I’ve been incarcerated since 2004. I grew up in Washington, PA – 20 miles south of Pittsburgh. Most of my childhood was spent in church, dance class, or band practice. 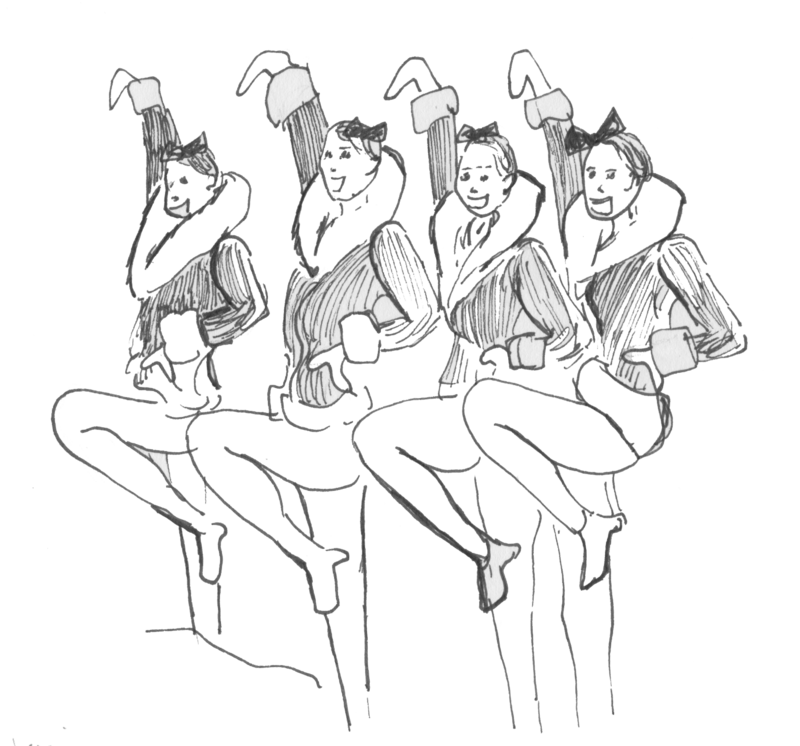 I even dreamt of being a Rockette until I found out I was too short. After graduating high school, I earned an associates degree in Health Information Management, and worked in the local hospital’s medical records. Now most of my time is spent cross stitching or tutoring women trying to earn their GEDs. Terri: From your perspective, what does the public need to know about life sentences in Pennsylvania and about the people serving those sentences? Terri: What do you feel it will take to do away with LWOP in Pennsylvania (from the most important aspect to more common sense or knowledge-based aspects)? Jessica: It really will be a large undertaking. Huge amounts of research and education. 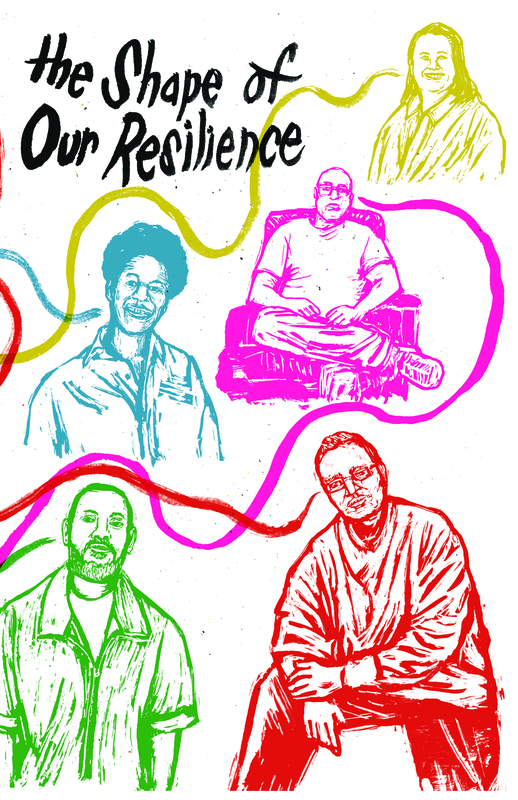 From setting up parole criteria, because I am sure it will be different for us, to finding centers or housing that would work with the system to help us re-acclimate, to starting up reentry groups, both inside and outside, to help us get back on our feet. 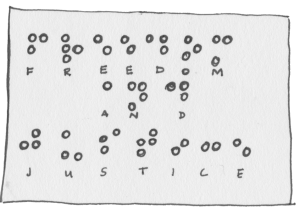 Terri: What does true justice and healing look like ideally to you? How is that vision different from what exists? Jessica: To me, true justice and healing won’t happen until we are all looked at as the individuals that we are and allowed to try to make amends in our own way. Instead, most people just want to brush us aside and pretend we don’t even exist anymore. Terri: Fill in the blanks: I want _______ to begin with me. I want ________ to end with me and my generation. Jessica: I want knowledge to begin with me. I want ignorance to end with me and my generation. I see too many people, myself included at times, that are of the mindset: this doesn’t apply to me; why should I care. You never know when your situation may change. With the proper knowledge, you may be able to save yourself or someone you love from a terrible mistake. We have too many people, inside and outside, with their heads in the sand. Terri: What do you think has caused the conditions of mass imprisonment/incarceration and why is it being allowed to expand? Jessica: I believe a lot of the problem comes down to laziness. Instead of working out our differences, let’s fight. Instead of getting a proper education and job, let’s go for fast money. Instead of doing the research and work to get ourselves out of prison, let’s wait for someone else to do it. The same can be said of the lawmakers. Instead of doing the work to see why these problems exist, let’s just build another prison so we don’t have to deal with it. Terri: Most of what is out there about lifers and life sentences focuses on or highlights the men and their plight. What is specific to that of women serving these sentences that is unheard/unseen. Jessica: Many of the crimes women commit are against their significant others. They feel there is no other way out. They are punished by the abuse. They are punished by the system that won’t help them. Then they are punished for life for taking matters into their own hands. These are not crimes that are likely to be recommitted if the proper counseling and education is received. Also, when men are incarcerated, women usually step up to help. Women take care of the children, the elderly parents, and the men themselves. Women don’t get the same support. If we are blessed, we have a strong network of family and friends, but too many women are on their own. Terri: How has your incarceration impacted your family and community? What do you do that’s most critical for staying connected through it all? Jessica: I’m very blessed to have an amazing family and extended support system. It’s not easy to stay connected from here. I call home often and try to send lots of cards and letters. My church family has supported me from day one, both emotionally and financially. They make sure to include me in everything they do, and have even stepped in to help others in my situation. Terri: If your voice could be heard anywhere, where would you want it to be? 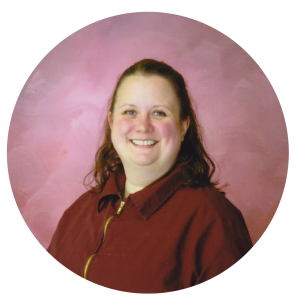 Jessica: I would like to be heard in my hometown of Washington, PA. It’s a fairly small town where crime seems to be quickly on the rise. I’m not sure the people committing the crimes, or the people handing out the punishment, completely understand the repercussions of their actions. Terri: If more programs were offered specifically for female lifers, what would they be? Jessica: I would like to see some type of current government education group. I’d like to be more informed about the details of bills that could possibly affect my life. We may not have the right to vote, but that doesn’t mean we should be ignorant of the world around us. And even from the inside, we can still find a way to have a voice. Terri: How does the media play a part in maintaining the sexist and racist systems of mass incarceration, and how do you think it can be reversed? Jessica: It’s easier for the media to focus on instilling fear in their audience. They (the media) make people believe that we are all monsters that should be locked away forever and then people will be safe. If they would take the time to focus on our stories, people might understand that we are all human beings who deserve to be heard. Terri: Why do you think organizations like the ACLU and Amnesty International won’t take on LWOP issues but deem death row inmates’ issues worthy of all their tireless efforts? How does that make you feel? Jessica: I feel that because we don’t have an actual execution date, people don’t realize that our lives are still being taken. The system is still killing us, just at a slower rate. That’s why Death By Incarceration is so much more accurate than Life Without Parole. I feel that, no matter what category I’m placed in, my story – my life – is of no importance. Terri: How can you and will you do your best to make amends to those you hurt? Jessica: I can never truly make amends to those I’ve hurt. The most I can hope to do is live my best possible life by helping as many people as I can along my way. 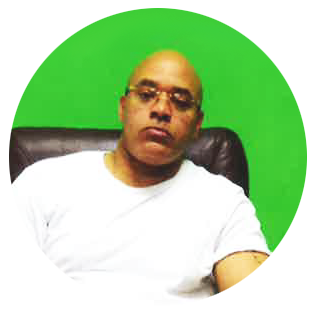 Felix Rosado, aka Phill, is a restorative justice practitioner, peace-builder, and mentor from behind the walls. Among other things he is a member of Right 2 Redemption and the Coalition to Abolish Death By Incarceration, co-coordinator of the Alternatives to Violence Project, and co-founder of Let’s Circle Up. Originally from Reading PA, he’s been incarcerated at SCI Graterford for the last 22 years. He chose to interview Charles Boyd. When offered the opportunity to invite someone into the LifeLines project, one brother instantly came to mind: Charles Boyd. Charles has been fighting a DBI sentence for over three decades and has been a source of inspiration and wisdom and a model of leadership for me for over eight years. I met him in early 2008 when I joined the Inside Out Think Tank and was immediately drawn to his humility, work ethic, and passion for restorative justice. Soon after, we began working together relentlessly to turn a restorative justice workshop he’d just developed into a full-fledged project we now call Let’s Circle Up (LCU). In addition to us having founded and continuing to coordinate Let’s Circle Up, we also work together in leading the Alternatives to Violence Project. Through both these bottom-up, people-first initiatives, we have the privilege of building community with hundreds of inside and outside folks each year. And I can’t think of anyone I’d rather be on this journey with. In a world where people believe leadership is to be held onto tightly and for as long as possible, Charles embodies true leadership – drawing forth the leader in others. And no one has been a bigger beneficiary of this gift than me. My life and countless others’ lives have been enriched beyond words because of Charles. Bringing him into LifeLines now gives the world a chance to meet the man who, if given the choice, would prefer to remain behind the scenes. That’s why it’s my honor to introduce my brother and mentor Charles to as many people as I can, every chance I get. Phill: Please tell us something about yourself. Feel free to include whatever you feel comfortable or interested in sharing. Charles: Hi! I’m Charles Boyd. I’ve been serving a death by incarceration (DBI) sentence for thirty-three years. I was arrested at 21 for a homicide-robbery. Being the eldest of five siblings, it was expected that I would always apply myself and provide the best example for them as possible. When I did something good I was amply rewarded but whenever I erred, I was held accountable to the tenth degree. I was disciplined in a way that sent a zero tolerance for nonsense message to all my siblings. In school, I was always an A-B student. I dared not bring home a poor report card. I recall in elementary school some days being very angry, confused, and bored during history classes. The source of my anger was the poor representation of African Americans in the history books. I felt history, as it was being taught in public schools, held no place for descendants of Africa. 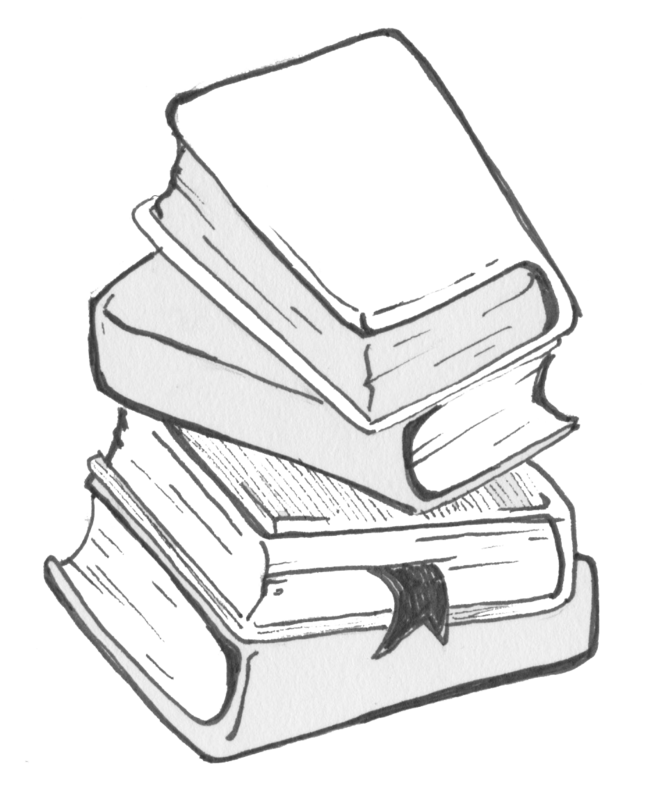 Though I absolutely loved being in a classroom setting (environments conducive to learning), I had reservations about throwing myself wholeheartedly into an educational system that seemed predicated on exclusion and his-story. My mother tried very hard to steer me away from the streets but its pull was magnetic. Sucked in by its gravity, early one morning in 1974, I ran away from home. By the time my mom woke up, I was already a hundred and fifty miles away. I remember feeling this sense of guilt on the one hand and on the other, a freedom I had not known before. Now I could smoke weed, have girlfriends, and do some of the things that I observed older teens doing. Needless to say, I was working with a recipe for either incarceration or an early grave. At sixteen, I couldn’t imagine myself living past the age of twenty-five, nor did I think I’d wind up incarcerated for thirty-plus years, though I should’ve seen the handwriting on the wall. I’ve done many things in life that I’m not proud of, but taking someone’s life was a new low. I wrestled hard with how to deal with this overwhelming guilt. Where would I get the strength to move on? How could I ever consider the possibility of forgiving myself? After sentencing, I had an encounter with the wife and daughter of the man I shot and killed. It was one of the most painstaking experiences I’ve ever had: coming face to face with two people I had greatly harmed, recklessly taking away from them a husband, father, provider, and much more. Even the thought of this was too much for me to bear. I turned to faith in God as a means of dealing with the pain, guilt, and shame that consumed me. I sought God for the strength and courage to move forward. Again, the pain was so enormous until I turned to various types of psychotropic drugs. I couldn’t even sleep without meds. I was a mess. When I got to Graterford, my first job was in the chapel to be close to God. One of the chaplains told me I was wasting my time mopping and sweeping floors and that I should seriously consider going back to school. About eight or nine months later, I took his advice and enrolled in vocational school. From learning to lay the foundation for homes (brick laying), I enrolled in the business education class, and from there to college. Education has allowed me personally to soar beyond these gray thirty-foot walls that surround the “Ford,” also known as Graterford State Prison. Often I’ve longed for occasions to give something meaningful back to others. Having opportunities to give back helps me to sleep better at night and to feel more humane, regardless of the mistake(s) I’ve made. Giving or reaching back to others is imperative for me on the road to redemption. It allows me to experience first hand what empathy is. And finally, it allows me to work through some of the social ills I wrestled with pre­-incarceration. When I stumbled across the Alternatives to Violence Project and a restorative justice workshop, I discovered not only the means to help me on my journey of atonement, redemption, and transformation, but the opportunity to work with others to create safe enough spaces here at Graterford where they could do the same. Phill: What’s one thing that you think people would be surprised to know about you (be it a particular experience, a part of your daily activities, an interest, a skill/talent, a lived reality, a personality trait, etc.)? Charles: This may seem insignificant to some, but I can’t watch any depictions of physical abuse against women. Usually I will change the channel on the TV and come back a little later hoping that scene has passed. When I was a child, often when my father got drunk he would take out his frustrations on my mom. I earnestly tried to protect her from being physically assaulted by him. I failed more than I was successful in protecting mom. I feel so uncomfortable around anyone who is drunk until this day and I can’t tolerate physical abuse against women or children. Phill: What’s one thing that you think the public needs to know about either death by incarceration sentences or the individuals who have been sentenced to death by incarceration sentences? Charles: DBI is literally a death by attrition sentence. That term encapsulates more accurately the death choke that has been hovering over me for the past thirty-three years. It is a nightmare that I won’t wake up from until I’m free from its devastating grip. It’s like being trapped in the bottom of the ocean with only enough oxygen for a few people to survive on until help arrives, yet there are over five thousand people currently vying for that oxygen while serving these draconian sentences in Pennsylvania alone. I was arrested and sentenced to DBI at a young age. Both my judge and trial lawyer seemed to have been just as oblivious as I about what a DBI sentence meant. If not, surely they would have made it clear that there is no possibility of parole. In spite of the shadow of death lingering over my head, I’ve made enormous strides toward becoming a better human being. Whether incarcerated or free, I’ll spend the rest of my life atoning for the severe harms I’ve caused my victim, his family, my family, and the community. People change, evolve, and experience various levels of maturity, given the opportunity. DBI doesn’t afford its tenants even the remote possibility of redemption. DBI is designed to rob its inhabitants of any hope and to destroy the family structure. DBI is a barbaric practice, one that we can not allow to continue. Phill: If you could have dinner with any person (living or dead) who would it be and why? What would you most want to discuss, learn from, or tell them? Charles: The most important person I would love to sit and have dinner with is my mom. She passed suddenly from cardiac arrest eighteen years ago. 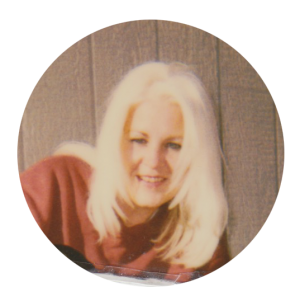 I felt it was my responsibility to prove to mom that my incarceration wasn’t her fault, that she hadn’t failed me and that she had done the best she could to keep me safe from the life I dived head-on into. I would tell her how sorry I am for the many sleepless nights that I caused her worrying about where I was, what I was doing, and if I were alright. I would tell her how much I love and appreciate all that she did to steer me in the right direction. I would convey to her that I never really knew the power of her love until she was taken from me. I never realized that for all those years when I was out in the streets that it was her love and prayers that allowed me to survive. Her love and prayers were her arms wrapped tightly around me. God knows, losing my mom was the hardest thing I’ve had to deal with. I would share with her how during a “Call to End Harm” workshop, a couple of years ago, I spent some time journaling on a prompt, “Advice I would give to my younger self.” After writing and reading what I had wrote, I remember thinking that if only someone had given me that advice my life would have turned out much differently. Then after reading it more carefully a few more times, it all began to seem very familiar. After giving it further thought, I discovered it was mostly the advice mom had given me. I would tell her that when I ran away from home that everything I was looking for in the streets, I already had at home, which was love and acceptance. I would tell her that I am sorry for not doing more to protect her and for not being there when she passed. Phill: What do you think it will take to end the use of death by incarceration sentences here in Pennsylvania? Charles: To end DBI in Pennsylvania, we will have to take the politics out of it. By nature, a DBI sentence is very political. It depends on who is in office and where they stand on issues such as rehabilitation, redemption, and second chances. I believe that anyone serving a DBI sentence in Pennsylvania should be at least given the possibility for consideration of parole. I’ve been incarcerated for over thirty-three years and haven’t hurt anyone during these years. I haven’t done as much as raise my voice to anyone in that time. The fact that the criminal legal system doesn’t take into consideration a person’s mindset at the time of the offense, their social upbringing, mental health, education or lack thereof, it falls way short of achieving any resemblance of justice… it’s more like just desserts. As long as I have to depend on a Governor (with all due respect to Governor Wolf, who in my opinion is doing an extraordinary job) for commutation, then my release really hangs within the balance of the political climate at the time. Therefore, let’s take politics out of it and develop a special parole board to evaluate and screen, on a case-by-case basis, those whose conduct, adjustment, and institutional record merit the consideration for a second chance. In light of the recent developments in science stating it’s unconstitutional to sentence juveniles to mandatory life without the possibility of parole due to their lack of culpability during the time their crime was committed, I think we might need to explore bringing this same argument into question whenever the subject of DBI is on the table. On another note, those with DBI and their families have to come together and allow our collective voices to be heard. Phill: What are some of the strategies, tactics, or practices that you and people you know use to support one another and to challenge the conditions/realities that you experience? woman­-up (take responsibility for those harms), and how to commit to making decisions that are more life-giving going forward. I feel responsible to do my part on the inside to reach as many people as possible. To engage and challenge them to look at the person in the mirror and decide what they need to do to make right the wrongs that have been done, as much as possible. Let’s Circle Up consists of an Introduction to Restorative Justice (RJ) Workshop, an Alumni Project to keep those engaged restoratively beyond the Intro RJ experience, and an Advanced RJ Workshop that looks at RJ and how it is being implemented on a global level. The Advanced RJ Workshop is also designed to create leaders who will live restoratively not only while incarcerated but once they return to their respective communities as well. Charles: If I could have one super power, it would be the ability to fly. When I wake up in the morning, I think and feel that anything is possible. I can be in Graterford one minute and home the next. So there’s no wonder why I have this fixation with being able to soar or fly like an eagle. 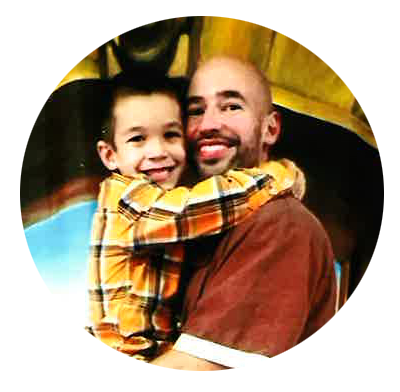 Phill: How has your own incarceration impacted your family and community? If you had the Governor’s ear for ten minutes, what would you say? What would be most important to you to convey? Charles: Since I’ve been incarcerated I’ve lost my mom, dad and grandparents. Being the eldest sibling, there is a lot of responsibility on my shoulders. Though my siblings are all grown, still I have to do the best I can from here to be a voice of reason at times and at others just a listening ear for them to vent. I can only give but so much advice. They really need me outside providing the leadership that is lacking in our family due to the absence of our parents. I would tell the governor that I really need an opportunity to use the gifts and wisdom I’ve acquired while here to help better conditions on the outside. I would tell the governor that I have felt for decades responsible for the senseless violence out in the community. I feel responsible in the sense that I’m not there providing mentorship and/or another outlet for those who really lack structure and direction in their lives. I want to be a resource for our troubled and at-risk youth. I’m certain that I will be able to impact their lives because I once was young and had a lot of the same problems they are confronted with today. I would say that when I first came here, I was a child maturity-wise and I have basically grown up here at Graterford. Like a bird with injured wings… my wings are healed. I can fly now on my own and have no need to be further caged. Charles: Something I’ve never done before, but would like to try is skydiving. I used to fear heights. After being incarcerated for over thirty-three years, I realize we only live once and I believe it is important to confront our fears. I believe skydiving would allow me to see the world in a different way. Besides probably peeing in my pants, it will be an exuberant experience, one of a lifetime. Phill: What is the shape of your resistance? What does it look like? Sound like? Taste like? Smell like? How does it feel? 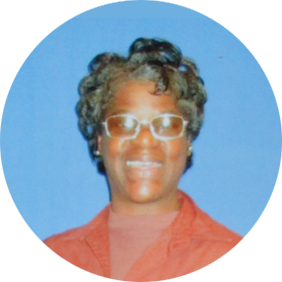 Marie Scott, aka Mechie, is an organizer, writer, and lifelong advocate for children of incarcerated parents. While she’s been incarcerated she has written legislation, started support groups, and participated in numerous projects and organizations. She has been serving a death by incarceration sentence for the last 44 years. She chose to interview Amy Pencille. I chose Amy because she seemed to stand out in a prison that I’ve just come to: Cambridge Springs. She’s been the president of the Phoenix Organization, she is a peer facilitator for the drug and alcohol program and there’s absolutely nothing that she hasn’t excelled in. I only wish that she will be chosen one day for the Inmate of the Year award by the PA Prison Society. However, the most important reason should be behind a conversation she had with our fallen Sister, Sharon Wiggins (aka Peachie). One day Peachie pulled Amy over in Muncy and said, “Sit yourself down, I want to have a talk with you!” Peachie told her that she was a beautiful mind and she wanted to know why she was wasting it on being so ugly with her mouth and actions. She asked her, “Now that your mother has passed, who is your daughter going to look up to if you’re up here acting in the manner that you are?” Amy thought real hard about it and to that day has never received a misconduct since then. That’s truly worth writing about. Thank you, Peachie, for guiding me to choose Amy. Mechie: Please tell us something about yourself. Amy: I was 19 years old when my crime happened and 21 years old when I got arrested. I was 22 years old when I received my life sentence. My co-defendant was arrested ten years after me and he received a life sentence. He ended up passing away like five years later. When I first went to Muncy I was angry and bitter. I just didn’t care and thought, “Why even try?” I got in a lot of trouble my first few years. I felt like I had no one and no one cared. Until my mother passed away and I had so many women talk to me, hug me, and show me that I really wasn’t alone. When I finally pulled myself together, the sky was the limit. I did everything that the prison allowed me to do. I got my GED, did an Apprenticeship in Food Service, became certified in Computer Aided Drafting and Design, and the list goes on. I was born and raised in Erie, so I came to Cambridge Springs in 2007 in order to be closer to my dad and three brothers. Then, in 2009, my dad passed away and I learned how to deal with things instead of everything building up. I also did a few things here, but not many because now we are overcrowded and they let the other women do the programs and groups before us because they have minimums. I really feel as though us lifers are forgotten about. I thank the many people on the outside who are fighting for us and hopefully the new bill will get passed and we will be able to see the parole board and get released. Mechie: What’s one thing you think people would be surprised to know about you? Amy: A lot of people that know me know this, but even though I am a woman, I am whole-heartedly obsessed with the Pittsburgh Steelers. My dream wedding is to be the Steelers’ halftime show and get married in the middle of the field on their emblem. I am also currently in the CPL dog program. I love the dog and think that it’s a great program. It feels so good to be giving back and helping people. It is a lot of hard work and dedication but it is so worth it. It feels good being involved in something bigger than myself. Mechie: What’s one thing that you think the public needs to know about either life sentences or the individuals who have been sentenced to life sentences? Amy: I think that the public should know that the individuals who have life sentences are usually the role models of the prisons and the men and women that are the most dependable. Yes, we all did a horrible crime to receive the life sentence, but I do believe we all are pretty much working hard to change our lives and lifestyle so that when the chance does come that we are able to be a part of the community, then we can be productive citizens and not make the same mistakes that we have made previously. I can honestly say that the lifers that I have really come to know I would bet my life that they will not be back in prison. I’m not talking about the women at Cambridge Springs only, but Muncy also. Mechie: If you could have dinner with any person (living or dead) who would it be and why? What would you most want to discuss, learn from, or tell them? help her, and for not helping her so that she could raise her son. Because even though I am serving a life sentence, I am still able to be in my son’s life and see my family. So maybe in the future she would be able to forgive me. Mechie: What do you think it will take to end the use of Life Without Parole sentences here in Pennsylvania? Amy: I think that they will have to take away mandatory sentences and look at each case individually. I know that we all make mistakes, but we all pretty much are the ones that get rehabilitated. So, hopefully they will pass the bill to allow us to see the parole board and let them have a say-so in whether we can go home or not. I mean honestly, we (meaning both men and women lifers) don’t get granted commutation and the Department of Corrections (DOC) does not have a word in it. They are the ones that know and learn what type of people we are. So I think someone from the prison that we reside in should have a say-so and a vote. Mechie: What are some of the strategies, tactics, or practices that you and people you know use to support one another and to challenge the conditions/realities that you experience? Amy: Well, we have a long-termers group in our honor unit, and whenever anyone gets any information, they share it with all of us, and every time I needed someone to talk to I could always go to one of them for advice or someone to talk to. Amy: If I could have one superpower, it would be the power to make people do the right thing. Mechie: What do you think has caused the conditions of mass imprisonment? Why has the broader public allowed it to happen and who has benefited from it? Amy: The conditions for mass imprisonment happen because there are not enough programs to help people. If there were more programs that help, then men and women wouldn’t be sent to state prison with petty crimes. There are a lot of lifers in the state of Pennsylvania and we are holding permanent beds. I think that the broader public has allowed this to happen because of things that happened in the past and they are afraid of change. And no one has really benefited from it because the taxpayers’ money is taking care of the prisoners. Mechie: How has your own incarceration impacted your family and community? Amy: Well, the community is impacted by my incarceration because they are paying for me to be in prison because I made one bad mistake, and I would be an asset to my community. It has impacted my family because I lost both of my parents, my son had to be raised by my brother, and my brothers have had to come and visit me and help me out financially. I was not able to be an aunt to my niece and two nephews. I was not able to be there for my son and I missed all of his firsts. Just like Rebecca Bains’s son had to grow up without his mother. At least I get to have visits with mine; Rebecca’s whole family had to be without her. Mechie: If you had the governor’s ear for 10 minutes, what would you say? What would it be most important to you to convey? Amy: I would tell him that I believe that the prisons should focus more on rehabilitating the men and women so that they can be a productive citizen in their community. I have seen so many women coming in and out of prison because they did not receive the tools that they need to stay out and take care of their responsibilities. I would also tell him that the community would benefit if we would be looked at on a case-by-case basis instead of as a whole. All of our stories are different, so we should be looked at as individuals. And I think that when it comes to them considering us for commutation, they should consider all things when it comes to making a decision: like how old the person was, if they were the actual person committing the homicide, how old the co-defendant was, etc. I also think that the governor should let the DOC have more say in the decision. They know us more than anyone else. Amy: I think there are two things that I would like to do that I have never done: travel and be a motivational speaker. So, I would like to do both. I would like to travel around the U.S. and share my story with people so I can stop them from making the same mistakes that I have made. Mechie: What is the shape of your resistance? What does it look like? Sound like? Taste like? Smell like? How does it feel? Amy: The shape of my resistance is having my own freedom. It looks like not having a fence or barbed wire around me. It sounds like a car horn honking, a person calling my number at a deli, a person taking my order at a restaurant, or my door bell ringing. It sounds like the parole board telling me that I’m free to go home. It tastes fresh, nothing processed. It smells like fresh air and soap and shampoo that I want to use. It smells like gas at a gas station. It smells like food cooking in my food truck that I want to own. It feels like a nice fluffy carpet on my bare feet, firmness in a real bed. It feels like the love of being around the love of my family. David Lee, aka Dawud, is a cofounder of One Hood United, and a founding member of the Coalition to Abolish Death By Incarceration. 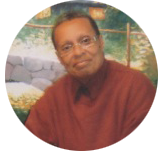 He is a prolific writer, mentor, and friend to many on both sides of the prison walls. Originally from Philadelphia, he has been serving a Death By Incarceration sentence for the last 30 years. He chose to interview Brian Charles. I first met Brian Charles (BC) as a member of the Lifers and Long Termers committee that we once had here at Coal Township, and right from the beginning I could see his passion for the type of work that needed to be done to end DBI sentences here in Pennsylvania. He is one of the most legally astute people I have met, and he is indefatigable in regards to his work ethics. 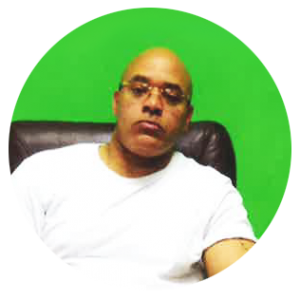 Moreover, recently BC laid the foundation for the initiation of a Lifers and Long Termers organization called LIFELINE here in the prison, thus he is the founder of LIFELINE and is the driving force as well. 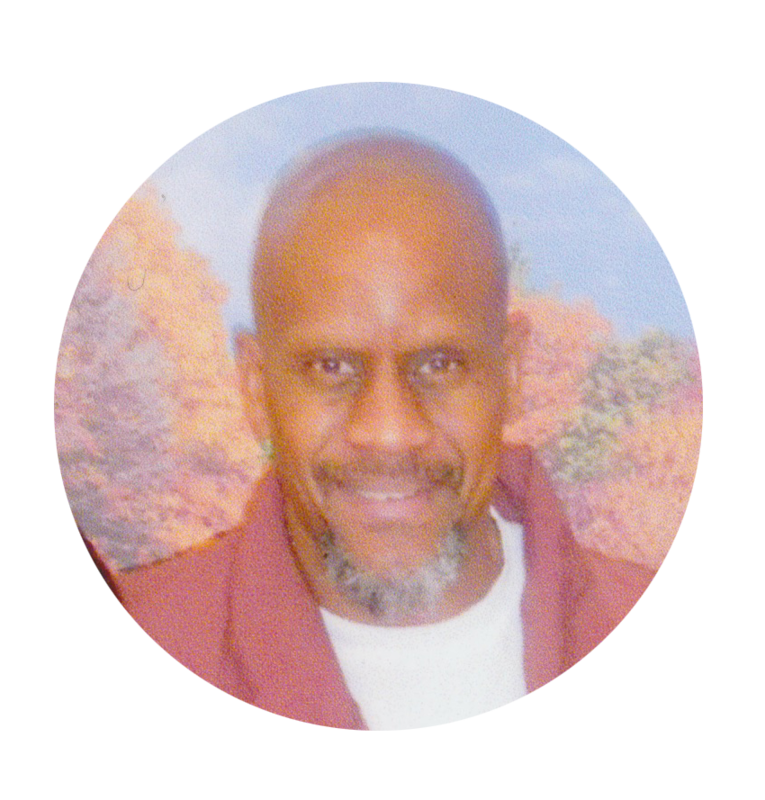 His efforts allowed us to graduate from the Lifers and Long Termers committee into an organization that can serve as a great benefit to both prisoner and street activists engaged in this important work of ending Death by Incarceration in Pennsylvania. BC’s passion for freedom and urgent quest for positive change is something that I paid a lot of attention to, and I thought that his efforts needed to be recognized by people out on the streets. In most cases we do not recognize and cherish such dedication until we no longer have these types of individuals around to do the invaluable work that must be done to advance our struggle for liberation. I also see that most people, even people in our current predicament do not seem to totally understand the type of work that goes into starting a prison organization, especially in the face of extreme opposition, and of having the responsibility of keeping the organization afloat in spite of said opposition. BC is one of my comrades and I appreciate the work that he does for the men being held captive inside of PA prisons serving DBI sentences, and I thought it only right to have his work acknowledged. There are too few people doing this type of work, and I believe that it is important that we give those individuals who are doing this work an opportunity to be heard and seen. As fellow prisoners, activists, and human beings, we owe this to one another because it is not that often that our work is acknowledged in a positive manner! Dawud: Please tell us something about yourself. Feel free to include whatever you feel comfortable or interested in sharing. Brian: My name is Brian Charles. Many people that know me, call me BC. I am what most people would refer to as a “jailhouse lawyer,” and activist. What I spend my days and nights mentally consumed in is litigating and figuring out ways to help myself and the lifer population free ourselves from these sentences of DBI. Just for clarity, “litigating” for me means more than judicial litigation. It’s any means of litigating to restore our freedom. That includes within the courts, but also within our state’s legislative body, and any other means available. This purpose was something that I began developing within my first year within the DOC. It took some profound introspection – learning that in order for me to make a change for myself and others, I had to change “self.” I began learning law and how the legislative landscape plays into the fight for justice and freedom early into my sentence. Now after 22½ years, the rare window of opportunity opened for myself and my comrade to create a lifers’ organization at Coal Township, called the LIFELINE Association. The LIFELINE Association was created because of the clear need we see to provide a vehicle to allow lifers to collectively work to fight for our freedom. It is easy to become selfish and only worry about our own individualized issues and concerns, but it’s another thing to understand that we share a common goal, and to stand together in that fight will give us a far greater chance of success. Moreover, what became even more abundantly clear was the need to create a nexus between those of us being incarcerated and those who are relentlessly fighting for our freedom on the outside. Because far too often this is taken for granted or not given the attention, respect, and appreciation deserved. Dawud: What’s one thing that you think people would be surprised to know about you? Brian: People may be surprised to know just how passionate I am about gaining our freedom. This passion runs much deeper than most could possibly understand. I spend countless amounts of time thinking about these issues and how we can make them materialize. These aren’t fleeting thoughts that pass through my mind throughout the course of a day. I don’t look at the LIFELINE Association as a typical prison organization. By this I mean, many prison organizations are consumed with in-house issues that do not serve as a vehicle in which to gain our freedom. They’re largely focused on things to keep us complacent and lose sight of what’s important. The LIFELINE Association is the polar opposite of this. Everything that we do is centered on our freedom and on making us better men in the process. Dawud: What’s one thing you think the public needs to know about either life sentences or the individuals who have been sentenced to life sentences? Brian: One thing that I believe the public needs to know about life sentences is that, contrary to what politicians have spooked them into believing during well-funded political campaigns, they are no more safe by having individuals sentenced to “mandatory” terms of life imprisonment, as opposed to allowing judges the discretion to sentence individuals on a case-by-case basis. Discretion allows the judge to take into consideration the facts of each case and individual as they come before them. Also, the public needs to know how much money is spent on prisons and warehousing prisoners, as opposed to our state’s budget on education. We can all share the sentiment that the children are our future. But with that being the case, how does the public allow our General Assembly to allocate a fiscal budget for prisons that is larger than that of education? Statistically, it cannot be challenged that there are more youth coming to prisons than there are graduates from college. Moreover, I believe the public also needs to know that as human beings, we are fallible. Looking at the staggering number of the PA lifer population, I feel safe to say that over two-thirds of that populace committed their crimes while they were between the ages of 18 and 25. The point in bringing this to light is because this is an age of transient immaturity. And as such, many, if not most, of those in that age group WILL change their lives, for the better, as they mature and become men. But without being given a chance to allow the public to see those changes, the public will never see just how their tax dollars are being wasted away by keeping men in prison beyond what is necessary. Dawud: If you could have dinner with any person (living or dead), who would it be and why? What would you most want to discuss, learn from, or tell them? Brian: Nelson Mandela. I’d like to ask him questions about his imprisonment and his subsequent release after all those many years. But also, to explore how it felt to become president of the very same nation that imprisoned you. Dawud: What do you think it would take to end the use of life without parole sentences here in PA? Brian: Regardless of whatever means are successful in ending DBI in PA, it will need to begin and end with the public, the people, becoming educated about the many flaws in the process in which life sentences are administered and “why” they are administered. Even as of this writing, we are all aware that there is legislation introduced to seek parole eligibility for lifers (i.e., H.B. 135, initially introduced as H.B. 2135). This means that the General Assembly will inevitably need to vote it into existence. But what we cannot ignore is the power of the people in this process. Our General Assembly are elected officials who, for the most part, act upon what they ‘’believe” the public wants. Therefore, once we educate the public on life sentences (which would entail a multi-level platform of education) and show that we should not be judged solely on our worst bad act, and that we are not permanently incorrigible, this would be the catalyst to making changes to DBI in PA.
Dawud: What are some of the strategies, tactics, or practices that you and people you know use to support one another, and to challenge the conditions/realities that you experience? Brian: We support one another by helping one another with education of the legal process; through the use of organizing, we bring people together from different walks of life to work on achieving our common goal(s). Dawud: If you could have one superpower, what would it be? Brian: If I had to choose just one, it would have to be the superpower of being invisible. Naturally, this would allow me to gain the freedom that I so desperately seek to attain. Dawud: What do you think has caused the conditions of mass imprisonment? Why has the broader public allowed it happen, and who has benefited from it? Brian: It’s something that happened due to politicians waging a “war” on drugs, crime, and inner-cities around our country. If you consider how many prisons were in existence in Pennsylvania in just 1988: there were approximately eight to ten state prisons. By 1994, upon the heels of the Mudman scandal, the politicians had dug their heels into this so-called national war. Mudman only exacerbated the already fueling fire that created a political firestorm that Republicans used as an excuse to wage its own individualized war on crime here in PA. The years of “rehabilitation” in the prison setting were lost. What followed were draconian laws which focused solely on “punishment.” This was a time when a clear and apparent shift in ideology regarding prisons in PA occurred. It became more than punishment, but was coupled with one’s greed for the almighty dollar. We became nothing more than political and economic fodder. Within 10 years of Governor Ridge being elected into office, PA’s prison count swelled to well over double its previous size. Let us not forget that education within PA’s prisons was no longer of importance. The Federal Pell Grant, which so many men and women within the system used to further their educations, was erased from existence in 1996 as quickly as Donald Trump’s first Muslim travel ban! But as I stated earlier, education is a fundamental tenet of human development, and is an indispensable tool in preventing many young men and women from recidivating – thus allowing the school-to-prison pipeline to evolve into existence. Even today, by DOC policy, lifers are drastically precluded from being involved in educational programming, due to our sentence structure alone. Our education remains on the back burner. The broader public has allowed this to happen by sheer ignorance. This is why I emphasize the importance of educating the public about these atrocities. These are the well kept secrets as to our current state of affairs. Secrets that are purposefully hidden for political gain, as well as job security in many instances. Just consider how they galvanized their supporters when the governor contemplated closing several prisons. They sent out mass emails, conducted news conferences, picketed in front of prisons, and even sought/gained the support of state legislators. All in the name of “saving jobs.” So again, this shows how the public continues to be duped by public servants. But the question we must realistically ask ourselves is, “Aren’t the legislators supposed to be the servants to their constituents (i.e. our families, friends, and supporters)? We need to have our families, friends, and supporters hold these legislators to test. Hold them accountable for the oaths they undertook to serve the interest of their constituents. If enough of the public is saying, “End DBI” or “Free PA’s Deserving Lifers,” then isn’t that what they’re supposed to act on – the will of their constituents? The only people who are benefiting from mass incarceration are the rural communities in which these prisons are seated, as well as the special interest groups who have a stake in the prisons remaining erect. 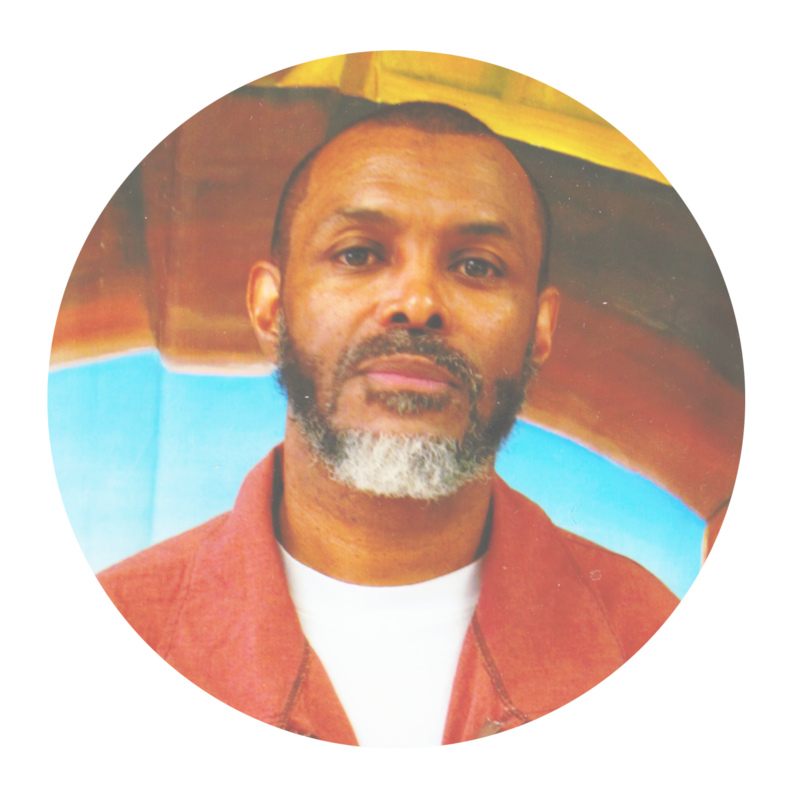 Dawud: How has your own incarceration impacted your family and community? 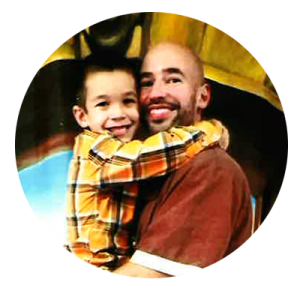 Brian: My incarceration impacts my family tremendously as it has removed me from being there to be a provider for them, and to be there to provide my son with the life lessons that he needs in order to become a strong man and make sound decisions. 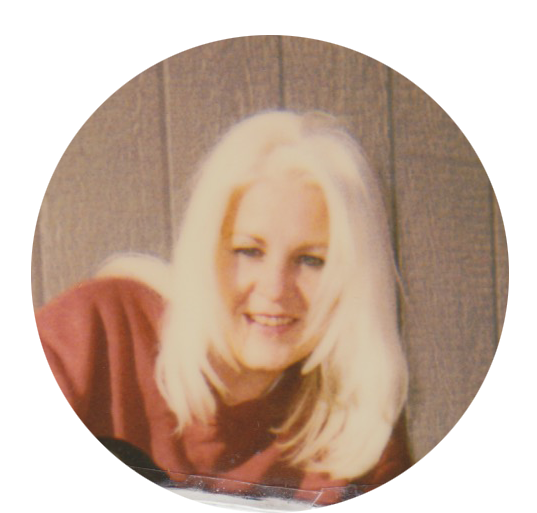 I lost my mother three years ago, and it was painful to know that I was on this side of the fence when she passed. My incarceration impacts my community as well, where if given the opportunity to have my freedom, I would be an invaluable asset by helping to mentor youth just as we do within these prison walls. The impact in this work would be even greater as it would be a tool for prevention, rather than looking to create a cure. There are so many other facets in which my presence in society would be utilized. Community activism; working for criminal justice reform; social justice; community leadership; developing economic institutions which would create decent jobs opportunities to help sustain family households; creating safe havens and places in which children can play, learn, and thrive. Dawud: If you had the governor’s ear for 10 minutes, what would you say? What would it be most important for you to convey? Brian: I’d want to express the dire need for criminal justice reform in our state, and the need to build upon our communities and children’s educations, rather than the senseless spending on prison construction and operation. They say that the definition of insanity is to continue to do the same thing, but expect different results. The silver lining in this analogy is simply that this commonwealth has continued to use this draconian “lock ‘em up and throw away the key” paradigm as its means to justify the existence and continuation of its prison system. Yet, putting new laws into effect which ultimately give offenders more time does absolutely nothing to deter or prevent crime. And it certainly does nothing to keep communities safe. Throughout the entire tough-on-crime decades, crime in Pennsylvania did not slow its pace. To the contrary, it grew exponentially. Therefore, if Governor Wolf is truly sincere about wanting to make a change within this state, he must first look to alter the state’s path as it pertains to criminal justice reform and retreat from the status quo by going against the grain. Continuing the same will only produce the same results. Dawud: What’s one thing you have never done before but would like to try? Brian: Something I’ve never done before, but would like to try is to pursue and attain a Bachelor’s and Master’s Degree. I’ve always been big on education and I would love to further my education in that way. Dawud: What is the shape of your resistance? What does it look like? Sound like? Taste like? Smell like? How does it feel? Brian: My thoughts always revert back to “freedom.” Because of this, I naturally associate my responses to these questions in the context of my freedom. So when I think of the word resistance in the context of my freedom, its shape would be that of a circle. The reason for this is because life is about evolution, and things tend to come full circle. It looks like endless bliss. All the things that many people who have their freedom may take for granted. Simple, everyday things. The taste of your favorite dish that your mother would always make as a child. It sounds like the sweetest music that your ears could hear. It smells like the scent of a beautiful bouquet of flowers. It feels weightless, like I’m floating or gliding. Able to come and go whenever I so choose, without the constraints of someone’s rules, regulations, or parameters. Avis Lee is a certified Braille translator, a member of Let’s Get Free, and the coauthor of the play Chin to the Sky. Originally from Pittsburgh, she has been serving a Death By Incarceration sentence for the last 35 years. She chose to interview Donna Martorano. I chose Donna Martorano to answer questions from our past LifeLines interviews. The reason why I chose her is because I feel that Donna sometimes gets overlooked, and is not even considered for projects like these through no fault of her own. Many of us who had/have outside contacts with prison advocates and activists have our names passed on to others. Those of us who haven’t had that experience (like Donna) don’t get included in these important projects even though they have something to say… that may even be a different perspective from the rest of ours. I feel that every voice, experience and perspective is important, including hers, and that is why I ultimately chose her to interview. Avis: Tell us something about your daily life. Donna: I live in the honor cottage and have for the last 16 years. I have served 25+ years so far. I work 8-3:30 at the Braille Lab. I am a certified Braille transcriber. I knit for “Create for Kids,” Disabled Vets, women’s shelters, and other organizations, I am on several committees and am a Phoenix member. Socially I am as active as possible. 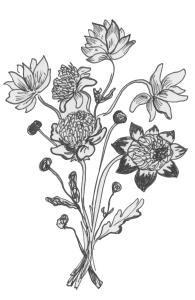 I paint, draw, sing, play several instruments, work in the gardens, and read. I enjoy being busy. Avis: How do you maintain relationships with people on the outside? If applicable, how do you nurture a loving relationship from across a prison wall or fence? Donna: I only have my two sons that I write to and call. My oldest has two daughters and I send cards, make items, paint pictures, and send gifts when I can. My love life is empty. Know anyone? Avis: Who do you feel you most disappointed? Donna: Myself for not having been more aware of what’s going on. My two sons who I let down on so many levels, my friends, and society as a whole. Avis: How do you handle aging, specifically how do you try to counteract its effects on your mind and body? Donna: Aging is a major issue for me as on my birthday, October 31st, I will be 67 years old. I am in the process of getting my knee replacement and am limited in my abilities, but I try to exercise, walk as much as I can, eat properly, and work in several gardens I’ve created and maintain. I enjoy trivia and other forms of mental exercise as well. As mentioned above, I also knit, draw, paint, sing, and play several instruments. Avis: How do you stay engaged in real life matters, without wishing too intensely for something you may never have? Donna: I keep informed by reading and talking to others about the news. I watch CNN and NBC nightly news, several programs related to the world and issues. I read articles and ask a lot of questions of those more informed. I keep up with world events. Avis: What strategies do you think can be used to abolish Death By Incarceration (DBI)? What can incarcerated people do? Donna: Keep writing and keep the voice alive. Work with family members, groups, and friends to help abolish DBI. Get the information to the general public through any media by writing, having people go to various meetings — keeping your own network working. Avis: How informed do you think you are about the politics of DBI? Have you read any books, studies, reports, articles, etc. on DBI? Seen any movies, documentaries, TV specials, etc.? Any recommendations to the rest of us? Donna: I am not nearly as informed as I’d like to be! Yes I’ve read and watched, and the only recommendation I can give is keep at it. Try harder. I’m living DBI and feel frustrated at the lack of society’s willingness to open up and embrace forgiveness. Avis: Do you feel as if there is gender disparity inside of the commutations process? Donna: Yes! Women are overlooked. We are the last to be thought of in most avenues. Avis: Do you believe the governor will have the “unanimous decision” in the commutation process repealed? Have you heard talk of the commutation board supposedly letting people out? If so can you be more detailed in what you heard? Donna: As far as the governor and what he will or will not do I haven’t a clue. We can only continue to hope for some help, some positive activity. Do you think he knows what he will do? Is he as informed of our issues as he should be — have we collectively made ourselves known to him? Have we made sure he knows the value of this type of “repeal” to our lives and the overall public? I’ve heard nothing but rhetoric and wishful thinking. Avis: If lifers were given the opportunity to make parole, what would be a good plan/strategy to be put in place that would ensure the public that every measure will be taken to guarantee that people with murder convictions are not being released prematurely and that the safety of the community can co-exist along with forgiveness by the community? Donna: There are no guarantees in life; only knowledge of the people who are being released can ensure the public in some form. If you look at the people who have done 15, 20, 30, 40 years inside the insidious environment they existed in, their record of the type of time they have done is a true indication of the way they would live their lives. Anyone who has done the time, has been active in positive ways, such as education, work ethic, social activities, charities, shows a change. You are NOT the same person. You could not possibly be. The loss you’ve experienced, the pain, the realizations you’ve faced, including the different facets of your crime and the effect it has had on others, victim’s families, your own family, and yourself. How could you be the same person of past years? As far as a Re-entry Plan, we need assistance in: transitioning to halfway houses, or a family member’s home or apartment, helping us find jobs, joining a church, finding transportation, and funding for education. Re-entry should include: how to do banking, pay bills, do taxes, and general life tools. While inside, the world has changed dramatically and we need to be made aware of all the changes. Avis: What is it that keeps you fighting after spending so many years of your life in captivity, with no light at the end of the tunnel? Donna: What keeps me fighting is my belief that the legal system should/can be changed and society can be educated and made aware of the injustices inflicted. We as a whole are open to knowledge and have the wherewithal to change, learn, actively take action, grow, and improve the system and our lives. Society as a whole believes in a Higher Power, no matter what you name it. Society is and can be forgiving and is willing to admit change is needed. I have to try and implement the change, set it in motion, and work for the end result. I am my own best motivator. I am responsible for me, my learnings, actions, changes, and needs. I can do what needs to be done. I am independent. I love my family and want and need to be with them, so I have to keep pushing. I trusted the legal system and it failed me. I trusted others and they failed me. I trust myself and I will not fail me. I am strong, tired, beat down, overwhelmed at times, but strong. I struggle every day. I stumble and even stop at times. I NEVER WILL give up! Society will hear my voice through persistence and faith! Avis: How do you cope with the fact that the vast majority of us will perish inside of a cell alone and in pain? Donna: Sadly, that statement is true. Forgotten and alone in a crowd of people. How does this seem possible in today’s society? Locked up and the keys thrown in the back of a drawer, collecting dust, unused. It is an empty life if you let it be! Don’t let it be! I don’t intend to lie forgotten. At my age and with my health condition I may very well die behind these gates, but NEVER alone! God is with me and He alone knows my plight, pain, sorrow, and my anguish. It saddens me that some don’t have faith in their lives and feel only emptiness and sorrow, and complain instead of working to improve our plight. Society is cruel, yes cruel, if it cannot embrace forgiveness and second chances. It’s been said everyone deserves a second chance. Everyone! I am trusting that ALL of us doing DBI time are included in that statement! Everyone deserves a second chance! To that end I pray, I keep busy, and do good time. I try to educate, write, and enlighten everyone I meet. I talk to the “big wigs,” the ones who have a say, when they do a run through the institution. I put my person and my voice in their way. I believe society will hear. Never give up! You will never be alone nor forgotten. My prayers are with you. I have to believe that somehow we are all part of the “EVERYONE” who deserves a second chance! Avis: Who or what are you living for? What is your purpose? Donna: I am living for my two sons, the ability to be with them again, the chance to meet my two granddaughters and to be a part of their life. I am living to be able to try again to get it right in life, to make better, smarter choices, to be able to distinguish between who to trust and put my faith in, and how to go about living a better life. I have many things yet left unseen, things I haven’t experienced yet and I believe God has plans for me I am not yet aware of. In almost 70 years of life I’ve fulfilled a few purposes, but not all, and hey, more creep up every day! Avis: What gives you hope of one day being free? What do you do to keep hope alive concerning regaining your freedom? Donna: I see changes every single day in the news, hear it from people, and I know society is ready for a better way. Sad to say but money plays a big role in society’s choices. The cost of keeping us older inmates is high. The voice of society wants/needs relief from that cost. They need a more practical way to “pay” for everyone. They (society) seems more willing to listen to the voice of and the need for change because of their pocketbooks! So, if society will not embrace forgiveness and second chances, they may embrace saving money. I know eventually society will come around and make changes. I pray that it is in my lifetime and I will be granted a second chance. The legal system moves slowly. I try to stay informed and abreast of changes, new avenues, and keep my faith strong. Avis: Who are you doing this for? Donna: Who am I doing this for? Everyone! I am doing this for my children, my children’s children, as well as myself and others yet to come. I need to help change the way society looks at DBI. Avis: Who do you think is best served by your realizations, growth, and development? 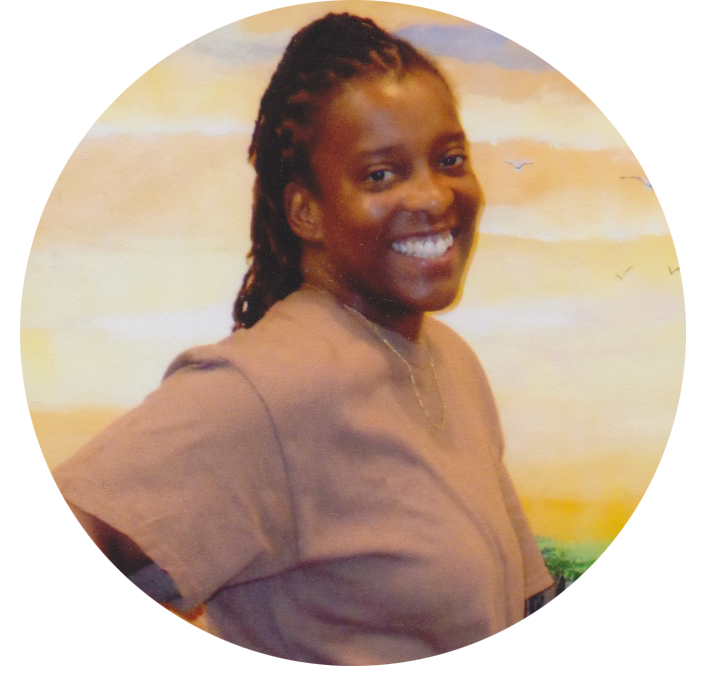 Donna: Everyone benefits — everyone — society, my family, as well as myself and other inmates. It’s a win/win. How can it not be? If I’m a better, more positive, productive, progressive person, then I must be a benefit to myself and society as a whole. Avis: Why are projects like LifeLines important? Donna: LifeLines is important for education, growth, unity, change, information, motivation, and progress. LifeLines infuses positivity as a whole to everyone. 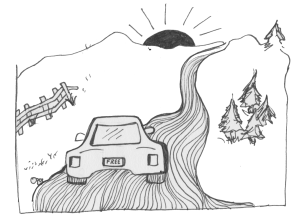 Avis: What’s next for you? Donna: When I read this question, I thought: this question is ever present in my daily life. At the age of 67 I became certified as a Braille transcriber. A job I truly love. Not an easy goal I had set for myself, out of school for such a long time, but one I am proud I was able to complete. 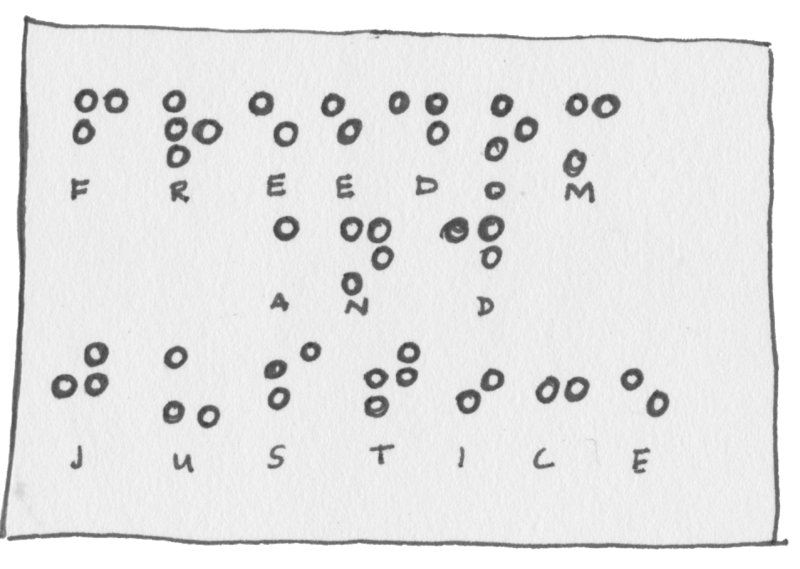 I intend to continue to work at Braille here until I leave. And when granted release, I intend to attain a small house and transcribe Braille for needy persons and organizations. I enjoy the chance to give back in this fashion. I want to start my own business and live quietly on the ocean. I would like to continue to draw, paint, and express myself through my talents. I need to be able to give back to society and embrace the chance to be a positive, productive “NEW ADDITION” in life! There are many ways to get involved in the movement to end DBI, including simply talking openly to your friends, family and neighbors about the profound need for far-reaching, fundamental change in this country’s criminal justice policies. You can call or write your legislators, hold informational sessions inside the walls, send postcards, attending protests and events, etc. Below you will find the contact information for four organizations that would eagerly welcome your participation and support. Decarcerate PA is a grassroots campaign working to end mass incarceration in Pennsylvania. Decarcerate PA demands that PA stop building prisons, reduce the prison population, and reinvest money in our communities. There are many ways to become involved in Decarcerate’s efforts. Get in touch at decarceratepa@gmail.com or by phone at 267-217-3372. Individuals on the inside can sign up to receive our newsletter (which includes featured action steps in every issue) by writing to Decarcerate PA, PO Box 40764, Philadelphia PA 19107. Find us online at http://decarceratepa.info. Let’s Get Free is a group in Western Pennsylvania that has come together to fight for the freedom of Avis Lee and Charmaine Pfender. These two cases are representative of many women incarcerated throughout the country. 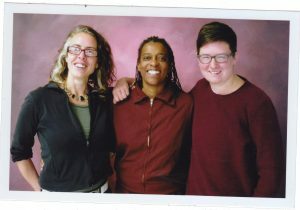 Charmaine and Avis are both sentenced to death by incarceration and the journey for their liberation is connected to the broader movement for transformative justice and healing. While Let’s Get Free is currently focused on two cisgender women, they believe prisons are a form of violence against women and trans people and want to work with and support as many people as possible within their capacity. They meet in Pittsburgh on the second Monday of each month. Contact them by phone at 412-932-7786 or by email at LetsGetFreePA@gmail.com or visit http://letsgetfree.info. Started by people in prison serving life without parole, this project hopes to end all forms of the death penalty including death by incarceration. It’s run by people currently in prison, so they don’t have much ability to respond to mail. If you have loved ones on the outside who can visit the website (www.theotherdeathpenalty.org), they can find advocacy and support information there, as well as advice on how to involve themselves in this effort. LifeLines: Voices Against the Other Death Penalty is a media and cultural project intended to transform the nature of public discussions and understanding of death by incarceration (DBI) — more commonly known as life without parole (LWOP) — in Pennsylvania. The project was developed to support a statewide campaign to end the practice of sentencing people to die in prison. Pennsylvania prisons hold over 5000 people serving DBI sentences. Outside the prison walls, LifeLines consists primarily of Layne Mullett and Emily Abendroth (with additional help coming from many quarters! ), who both live in Philadelphia and are founding members of Decarcerate PA and the Coalition to Abolition Death By Incarceration. Inside the prison walls, the project consists of eight women and men located across the state: Avis Lee, David “Dawud” Lee, James Canady, James Hough, Marie “Mechie” Scott, Clinton “Nkechi” Walker, Felix “Phill” Rosado, and Terri Harper. 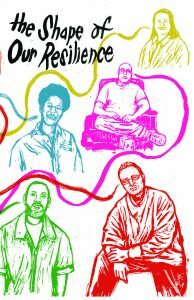 Our first published pamphlet, titled Fighting for the Light of Day, features extended interviews with all of these individuals, and can be accessed in electronic form (http://lifelines-project.org/lifelines-publications) or purchased in print at AK Press (akpress.org). Cover design and portraits by Erik Ruin. Erik Ruin is a Michigan-raised, Philadelphia-based printmaker, shadow puppeteer, paper-cut artist, etc., who has been lauded by the New York Times for his “spell-binding cut-paper animations.” His work oscillates between the poles of apocalyptic anxieties and utopian yearnings, with an emphasis on empathy, transcendence and obsessive detail. He frequently works collaboratively with musicians, theater performers, and other artists and activist campaigns. Sketches by Jenna Peters-Golden. Jenna is an educator, facilitator, and artist. She gets so much joy from showing her love and admiration for our movements by drawing pictures.